Most annoying period is when you are trying to do something on your phone and it refuse to respond to command. Here today you are going to learn why your phone slow down and how to fix it. You cant expect your phone to remain the way you bought it some months back so when slowing down challenges come smashing your phone is not the option. Mind you every devices need maintenance to keep working perfect. 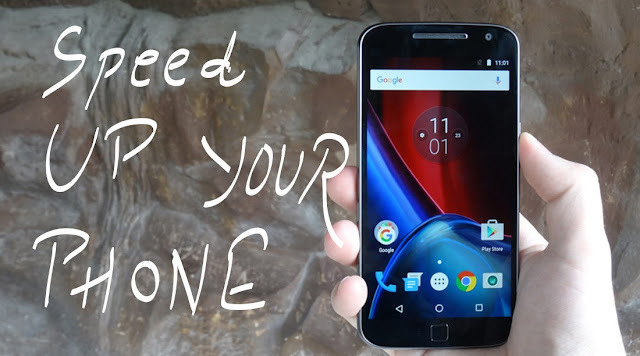 There are numerous things that can cause your phone to slow down but the most common ones will be discus here today.We have some software designed to fix bug and error at the same time there are some precautions to look into as the owner or user. Application Updates: When last do you update your applications? Updating of applications brings a new life to an app performances and fixes threatening bugs. However, Many apps e.g Facebook app takes a lot of space (RAM and CPU). The app was just 35MB when it was newly launched but more updates has increased its storage space up to 300MB and the best thing to do, is by downloading the lightweight app to reduce memory storage. This will ensure your phone runs better as you update your apps and save your memory storage. OS Upgrades: Since you have gotten your mobile phone, have you upgraded the operating system (OS)? If not, this is one of the reasons your phone performances slows down after months of buying it. Google releases updates annually, from Android Lollipop 5.0 to marshmallow 6.0 to Nougat 7.0 to Oreo 8.0 and so on. You should always try to upgrade your OS for more better features and fixes. Full Storage: The most common reasons why smartphones slows down after months of buying it, is the full storage issue. Whenever your phone storage is full, always try to clear up some unnecessary files like photos, images, videos and archives, to prevent your device from slowing down, lagging or unresponsiveness. Memory Degradation: I think some people might have not heard about the memory degradation issues. Yea, let’s dive into it. Smartphones runs on a flash memory and the most common type of flash memory is called NAND. The memory requires a certain amount of vacant blocks to operate efficiently and it gets slower as it fills up. There are three types of NAND memory: TLC, SLC and MLC, each of them has write cycle boundaries per memory cell, which degrades after some time of memory usage. The cells wear out after limit is reached and affects the phone performance. So, always stick with 75% of your memory storage. That means that if your phone comes with 16GB internal memory storage, do not pass 10GB storage because using above that will make your phone lag and unresponsive.